Vancouver Chinese Instrumental Music Society is a charitable non-profit organization and home for Canada’s first professional Chinese music group formed in 1989. 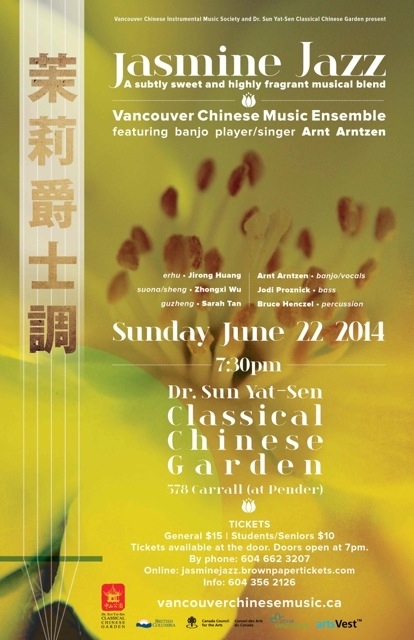 On June 22, 2014, the Dr. Sun Yat-Sen Classical Chinese Garden and VCIMC are co-presenting an intimate and exciting show on Sunday, June 22. 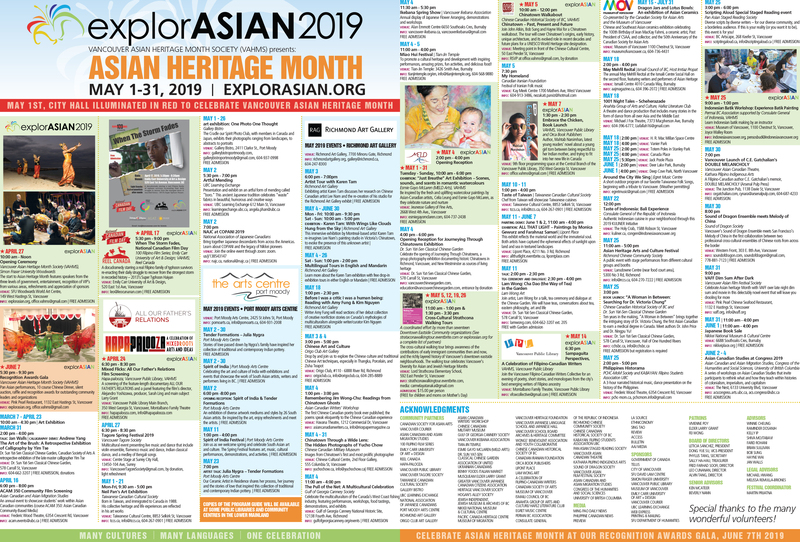 Jasmine Jazz will be a rare collaboration between Chinese folk instrumentalists (Vancouver Chinese Music Ensemble) and some of Vancouver’s best jazz musicians, Arnt Arntzen, Jodi Proznick and Bruce Henczel. These are Vancouver’s two music scenes that make this city wonderful but usually are not seen together.